Vanuatu was officially removed from the FATF Grey List in June 2018. The positive result, in a short time span, was attributed to a collective team effort and commitment from the Vanuatu Government, the Vanuatu Parliamentarians, the AML&CTF National Coordinating Committee, the Supervisory and Law Enforcement Working Group, the State Law Office, the VFIU & other supporting Government Agencies, and the private sectors. The defendant Tusavaka Nishai was charged with 16 offences of money laundering contrary to sections 11(3)(a) and (b) of the Proceeds of Crime Act as amended. A warrant of arrest has been issued by Justice Oliver Saksak to arrest Namataku Kalsaria Maipeza after he was supposed to have his case heard for 'Voire Dire' before the main trial started. 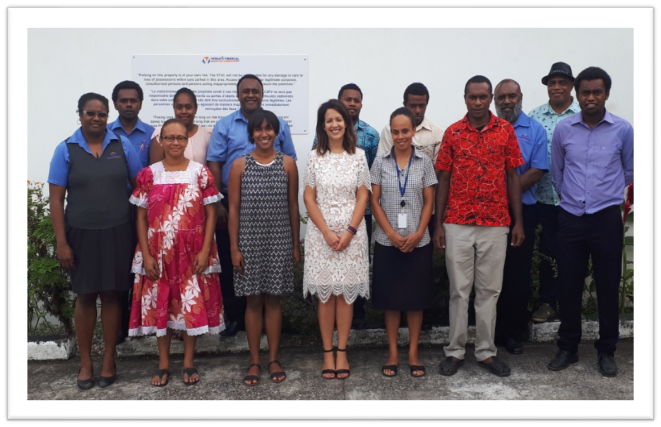 The VFIU organized an AML&CTF Supervision refresher training for its fellow-supervisory institutions to re-acquaint with the fundamentals of the supervision of AML&CTF functions in Vanuatu. 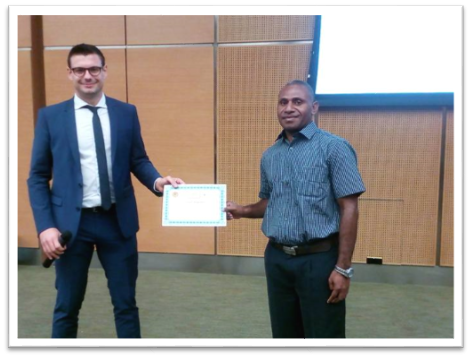 Vanuatu AML & CTF Supervisors Training – Compliance Training run by external AML&CTF experts. Representatives of Vanuatu regulatory bodies in attendance were from the Vanuatu Financial Intelligence Unit (organizers), Reserve Bank of Vanuatu, Vanuatu Financial Services Commission, Department of Customs & Inland Revenue and the Office of the Registrar of Cooperatives & Business Development Services. (Date: 17th January 2018). On Thursday 4th January 2018, the National Security Advisory Committee convened in its inaugural meeting and approved the dissemination of the Guidance Note to the Reporting Entities and the Public. This document contains summary information regarding the United Nations Financial Sanctions Act No. 6 of 2017. Read more: Press Release No. 1 of 2018. In promoting and ensuring the cooperation and understanding between agencies in Vanuatu’s AML&CTF Supervision and Regulation Framework, a Memorandum of Understanding was signed by the said agencies in December 2017. The Office of the Registrar of Cooperatives and Business Development Services (ORCBDS). The above parties agreed to collectively work within such an understanding so as to enable Vanuatu to meet its AML&CTF Supervision and Regulation obligations in carrying out the implementation action plan which the Supervisory Working Group had set in order to meet Vanuatu’s identified deficiencies in meeting some of the Financial Action Task Force (‘FATF’) recommendations. On Tuesday, 19th December 2017 the FIU Intelligence team, as members of the Law Enforcement Working Group (LEWG), participated in a whole-day workshop at the Vanuatu Police College. The LEWG members include the Vanuatu Financial Intelligence Unit, the Vanuatu Police Force, the Department of Customs & Inland Revenue, the Department of Immigration, the Department of Bio-security, the Department of Fisheries and the Office of the Public Prosecutor. The workshop was organized for the LEWG members, as part of the group’s Immediate Implementation Plan, to address the core functions of each LEWG members with regards to the legislative amendments that the Vanuatu Parliament enacted in June and November of 2017.
the Vanuatu FIU, represented by its Senior Financial Intelligence Officer, Josiah Kuatpen, participated in the Strategic Analysis Course conducted by the Egmont Group, with assistance from the World Bank. The Egmont Group members comprises FIUs around the globe united with a common goal to combat money laundering and terrorist financing (ML/TF). 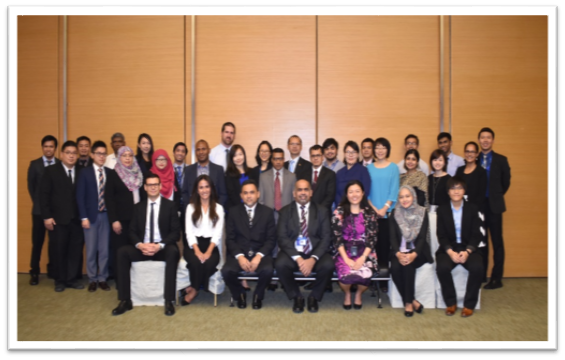 The course was conducted from 23rd to 27th October 2017 at Sasana Kijjang, Kuala Lumpur, Malaysia. Specific goals of this course are to introduce participants to the concept of strategic analysis, explain the nature and benefits of conducting strategic analysis, describe the range of possible strategic analytical products, work through the stages of the strategic analysis cycle, and discuss possible strategies and techniques for achieving high-quality results. The first money laundering case that ripped off ANZ Bank customers huge money in 2015 has been committed in Supreme Court on August 29, 2017. Read more: Money laundering case reaches Supreme Court. On Thursday 3rd August 2017 the Vanuatu Government's Council of Ministers ("COM") approved the Vanuatu National Risk Assessment ("NRA") as a living document focusing on money laundering through the offshore sector and terrorist financing. This NRA supplements the 2015 NRA. Read more: Press Release No. 5 of 2017. An appeal was made by the Public Prosecutor against a sentence of 20 months imprisonment suspended for 3 years imposed by the Supreme Court in Luganville, Santo, on 20th March 2017 to Anne Marie Garae. In the current ongoing efforts to satisfy and exit the "Financial Action Task Force grey list" (FATF grey list), the Vanuatu Financial Intelligence Unit ("FIU") is inclined to announce the official gazettal of thirteen (13) Acts, having been successfully enacted through the National Parliament and consented to by His Excellency Late President and published on 16" June 2017. Read more: Press Release No. 3 of 2017. This Press Release is intended to inform the reporting entities of the new amendments to the principle Anti-Money Laundering & Counter-Terrorism Financing (AML&CTF) Act No. 13 of 2014. Read more: Press Release No. 4 of 2017. On Wednesday 29th March 2017 the amendments to the AML&CTF Registration Form for reporting entity was published in the Official Gazette order No. 37 of 2017. Read more: Press Release No. 2 of 2017. Following the public statement issued by the APG Secretariat and the FATF against Vanuatu one of the most important deficiencies identified was inadequate measures to implement United Nations resolutions for targeted financial sanctions against terrorists. Read more: Press Release No. 1 of 2017. The VFIU has exercised its new powers under section 50A of the AML&CTF Act by issuing a penalty notice to a local Money Exchange Business. The penalty fine was paid by the Money Exchange Business directly to the Vanuatu Government Treasury. Read more: Press Release No. 3 of 2016. The VFIU is in receipt of reports identifying an exponential increase of alleged fraudulent activity involving Internet Banking or Online Banking Customers and persons using social media namely Facebook. The VFIU wishes to advice members of the Public who are victim of the fraudulent activities to foreign beneficiaries to report their case the the VFIU or the Vanuatu Police Force. Read more: Press Release No. 1 of 2016. With reference to press release 1 of 2016 concerning Internet Banking or Online Bank Fraud, the VFIU is also in receipt of several information identifying alleged ATM card skimming activities. The VFIU wishes to advice members of the public who are victim of the fraudulent activities to report the matter to the Bank immediately. Read more: Press Release No. 2 of 2016. In October 2015, further amendments to the Anti-Money Laundering and Counter-Terrorism Financing Act was brought into effect and force. This Amendment Act and the amended AML&CTF Regulation have brought significant changes to the AML&CTF landscape whereby Reporting Entities' preventive measures are enhanced further. The amended Act and Regulation now place enhanced requirement on Reporting Entities to register their businesses and professions with the VFIU, establish and maintain an AML&CTF Group-Wide Procedure Manuals for Entities operating branches, agents or subsidiaries, conduct an independent audit on its AML&CTF systems and provide adequate protection of person making reports to the VFIU. It also established the Vanuatu National AML&CTF Committee to oversee the strategic polices and direction on AML&CTF systems in Vanuatu. And impose further administrative sanctions available to the VFIU.